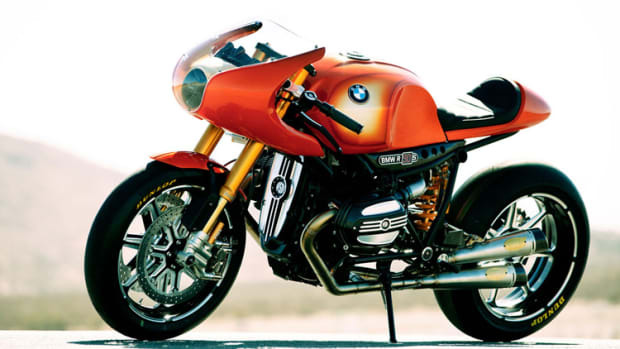 After taking it back to the past with the Concept 90, BMW looks to the future with a modern take on the classic BMW motorcycle, the Concept Roadster. 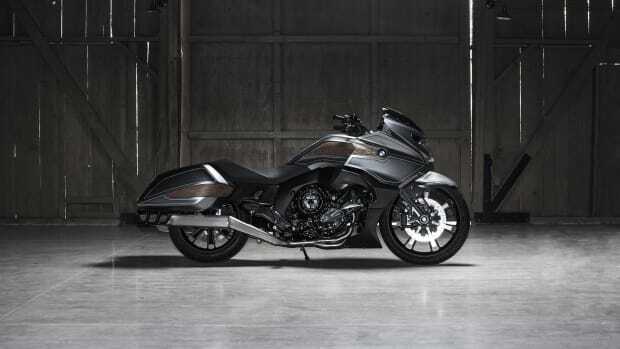 The powerful styling of the bike is matched with a powerful engine, a two-cylinder boxer with an output of 125 horsepower. Surrounding the engine is an aggressive design with a sculptural fuel tank that seamlessly flows into the single-piece aluminum rear which features a seat design wrapped in perforated Alcantara. 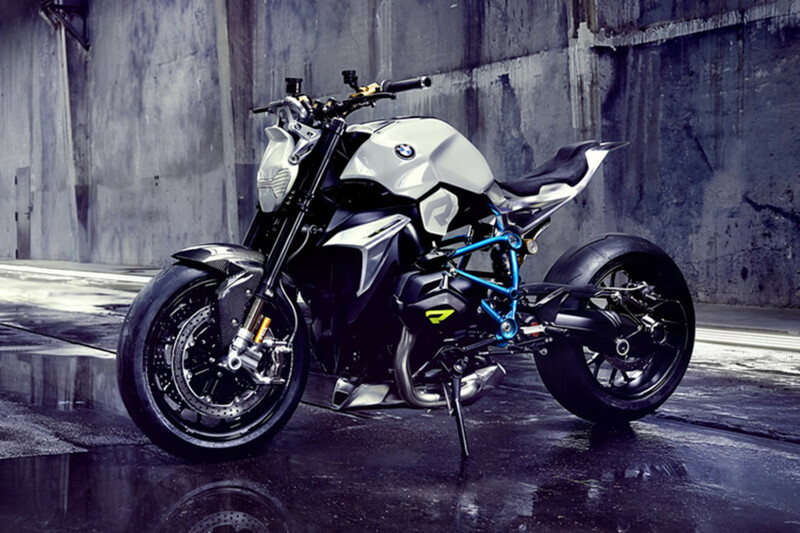 Other details include precision milled aluminum parts, a sparking blue tubular space frame, and an aerodynamic engine spolier. 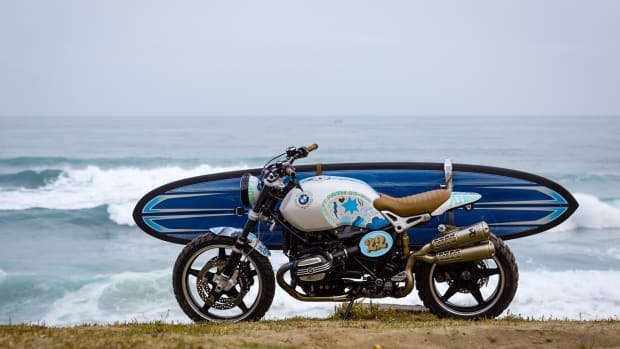 A scrambler-style surf bike based on the Rnine T.